DNA | Scuffalong: Genealogy. 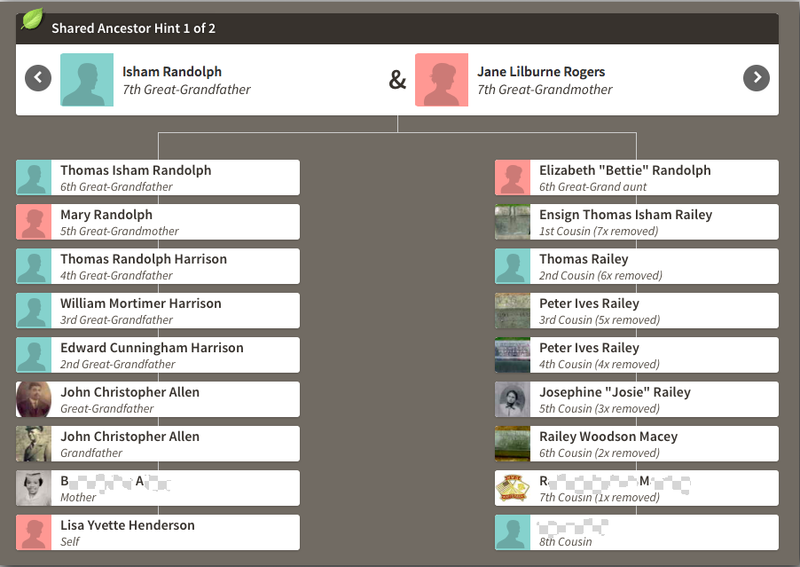 DNA – Scuffalong: Genealogy. Joseph Buckner Martin (1868-1928) is said to have been the father of my great-grandmother Bessie Henderson and her brother Jesse “Jack” Henderson. Does DNA back this up? One of Bessie’s descendants (me) and three of Jack’s (J.E., L.H. and M.C.) have tested with Ancestry DNA. I match each of them as expected. But whom do we match? Buck Martin was the son of Lewis H. and Mary Ann “Polly” Price Martin. Though Lewis and Polly had ten children, so far I have not identified matches for any of us with descendants of any of them. Let’s back up a generation though. Lewis H. Martin was one of 11 children of Waitman G. and Eliza Lewis Martin. My close cousins J.E. and L.H. match G.A., who is descended from Lewis’ brother Henderson N. Martin. Eliza Lewis Martin (1813-??) was the oldest child of Urban Lewis and Susan Casey Lewis. Her siblings: John Lewis, Fannie Lewis Denmark, Joel Lewis, Bethany Lewis Martin, Susan Marinda Lewis Potts, Patience Lewis Denmark, William Lewis, Elizabeth Lewis, and Mary Ann Lewis Martin. My close cousins and/or I match descendants of at least two of them, John (J.K., K.P.) and Susan (E.P., B.P.). (My father also has matches to Susan’s descendants E.G.P. and B.A.P. at Gedmatch and D.P. at FTDNA.) In addition, J.E. and L.H. match B.T., a descendant of Urban Lewis’ brother Laban Lewis. And over at 23andme, my father’s first cousin J.H. matches A.L., an Urban and Susan Casey Lewis descendant, and K.C.K., a descendant of one of Susan Casey Lewis’ siblings. Polly Price Martin was the daughter of James and Margaret Herring Price. Polly had sisters Margaret “Peggy” Price Williams and Susan Price Dail. M.C., J.E. and/or I match a descendant of Susan Dail and five descendants of Peggy’s great-grandson Merle Williams. So, while we do not have matches with any of Buck’s siblings’ descendants, we do have matches to all four of his grandparents’ line — Martin, Lewis, Price and Herring. This does not exclusively establish Buck Martin as my ancestor, but it goes a long way.